Read testimonials from Boston home buyers about their Boston Buyer Agents. The following are comments from homebuyers who used Boston Realtors to purchase singe-family and condominium homes throughout the City of Boston. Some of the testimonials were submitted directly to Buyers Brokers Only, LLC, and others were posted on consumer review Web sites, such as Yelp and Angie's List. "Andrew [Mckinney] was professional, yet friendly and approachable. He was available when I needed his assistance, but gave me the space and time I wanted to conduct my own searches and assessments of various properties. Andrew was also invaluable in the negotiation process, which culminated in a good deal. Moreover, his ... guidance made me feel more comfortable about navigating the home-buying process than I would have with a real-estate broker with no legal expertise." "My husband and I worked with Otto Iglesias at Buyers Brokers Only to buy our first home in East Boston, and we absolutely love him. Otto guided us through the process as first-time home buyers super patiently. It took us a while to finally find a place and get a signed contract (~3 months), and Otto was really patient the whole time and always on our side. I never felt at all pressured to 'settle' for a place we didn't love and Otto made the experience, which is inherently stressful, actually a lot of fun. "Otto was always super quick to respond, really on top of everything, and went way above and beyond for us. He's totally professional. On top of that, he's just a really great guy, funny, and we genuinely enjoyed working with him and getting to know him! "On one occasion Otto was out of the country and set it up in advance for us to view some places with Rich Rosa, who was also great." "I feel compelled to get the word out about Rich Rosa and BBO. "My home search started over a year before I found my current place. I had briefly worked with two other realtors before I found BBO. However, neither of them were a good fit - the first didn't take me seriously (prob b/c I'm a relatively younger buyer) and the second tried to rush me into making a purchase. Finally, decided to give exclusive buyer agents a try since conventional ones didn't leave the best impression on this first-time homebuyer. "[Rich's] professional and friendly demeanor really made my first time homebuying experience a pleasant (and fun) one! I feel very fortunate to have found Buyers Brokers Only and wouldn't hesitate to recommend BBO to anyone. [Rich] really went above and beyond. " Client: Amity & Adam K.
"Femion was a wonderful person to work with. We had a year long search and Femion was eager to get us into the right property. We negotiated on four separate homes and Femion was attentive and strategic each time. His negotiation and [knowledge] was above and beyond what you can get from someone who is only a realtor. He made sure our interests were protected in each of the contracts we signed. He also was honest and not afraid to share his opinions, which was very helpful through this stressful process. We are now proud home owners and we could never have gotten here without Femion's help." "I had a terrific experience in dealing with Andrew McKinney. I had previously dealt with a realtor from a different agency who had no interest in my needs and couldn't be bothered to meet with me. "Andrew was a breath of fresh air. He was friendly, responsive and willing to spend time meeting with me and driving to open houses. He was honest, forthright and helpful." "Yelp reviews prompted the phone call to the agency. Initial contact, and quality of service thereafter [with Otto Iglesias], proved the reviews were genuine." "The service Buyers Brokers Only, LLC provided was truly invaluable to us in finding our first home. We couldn't be happier! And I cannot stress enough how much we appreciate the time he took to answer our countless questions and Femion's continuous fight for us. It is so rare to find a company who cares about their clients, and who will go above and beyond when they don't have to. This service cost us nothing, and yet our experience was priceless!!! I will recommend Buyers Brokers Only, LLC to all of my friends, family, and coworkers wholeheartedly!!" "I had a great experience working with Jess Wagner to buy our condo in Jamaica Plain. Jess is great at his job and enjoys his work. 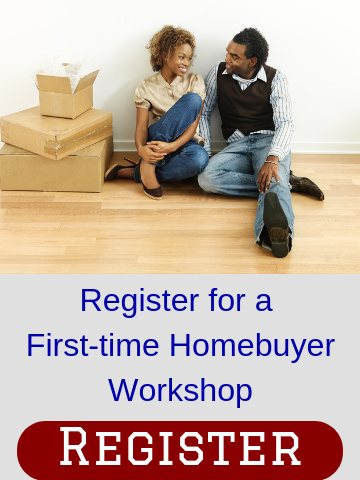 As a first-time homebuyer, I had a lot of question and Jess was always patient and helpful. He also was clear about what were facts and what was his opinion. This was important to me as I looked for a home at a reasonable price in a crazy market. Jess has a lot of experience and knowledge and he was happy to share it - without overwhelming me with information. Jess was responsive and went above and beyond in making the process easy for me. If you are looking for someone who stays grounded and focused to help you navigate this big-life decision - Jess would be a great fit for you." "I was a first time home buyer and thanks to Rich Rosa the whole process turned out to be not as scary and stressful as I expected. "Rich was always patient, answered all my questions (and I had lots of them), never made me feel inferior regardless of how bizarre my questions may have sounded and made sure [I was] clear on all the steps of the process. "When I found the property I liked, Rich handled the negotiations with upmost diplomacy and professionalism. Later on, right before I left on vacation, a title issue came up and again Rich handled all the hassle of resolving it without passing any stress on me. He always kept me in the loop regarding important developments and when I was back the issue was already resolved. He also went far beyond his duties when I needed help with getting my closing documents from an unresponsive attorney. "Buying a property is a very important purchase and you definitely want to have the right people on your team. That's why I highly recommend you hire Rich Rosa as your agent. Rich brings to the table professionalism, extensive real estate knowledge, [a] straight forward, but very patient approach and stress-reduced purchasing process. Why look further? "Otto [Iglesias] was so helpful throughout the entire process. This was my first home buying experience and he really explained it all to me and would never tire of all my questions. I could not have found anyone who would be more helpful." "I loved my experience with Andrew [McKinney]! Always courteous, timely, professional, and extremely knowledgeable, Andrew made sure that I always had all the information I needed to make the best possible decision for me. Since this was the first time buying a home of my own, there were definitely a few moments where, looking back, I was being unreasonable urgent -- but Andrew not only took it in stride, but made the best of it. I cannot imagine this process without him and feel very lucky to have had him as my broker!" Client: Peter V. & Stella V.
"[We valued] Otto's genuine advice, enthusiasm and patience with us." "Being a first time buyer and having only recently moved to Boston I was quite inexperienced in this entire process. I read many good reviews about Buyers Brokers Only and decided to give it a try. My family and I were very pleased to meet with Otto Iglesias. Thanks to Otto finding a home became a fun and memorable experience for us and was much less stressful than we had imagined. We were very impressed by his professional knowledge and his timely responses -we almost always heard back from him immediately no matter when. Otto was also very supportive in terms of giving good advice and arranging everything to meet my busy schedule. Even when things were not going so smoothly with the seller's party, Otto was always there for us to see things through." "Otto did a great job from start to finish. My wife and I were first time home buyers and Otto [Iglesias] was a real source of stability and a wealth of knowledge as we went through the process. For us the one thing that we constantly said about Otto was that we were shocked at how responsive and timely he was. Buying a first property is scary however we put our full trust in Otto and it paid off. We had spoken with some friends who were new home owners prior to commencing our search and some of the negative stories really had us dreading the process, but after dealing with Otto we can gladly say that was not our experience." "We recently purchased a property in West Roxbury with the assistance of Femion Mezini from Buyers Brokers Only, and couldn't be more pleased with the result. Boston real estate is a tough market, but we truly did have a good experience and are still quite comfortable with all of the decisions we made throughout the process." We were very happy with our experience with Rich [Rosa] from Buyers Brokers Only. From the beginning, Rich was very professional, organised, and available to meet our every need. He walked us through the process of buying our first home, and answered any questions we had along the way. We would be happy to recommend Buyers Brokers Only to anyone looking to purchase a property. Client: Michael R. & Deborah R.
"Otto [Iglesias] was always attentive and immediately responsive to our inquiries. He was extremely knowledgeable and thorough. We felt our interests were protected during his representation of us." "We found Andrew McKinney a couple of months ago through the very positive reviews on Yelp. He was instrumental in getting us the perfect property for our needs. We could write pages and pages as to why Andrew is the perfect realtor." "My husband and I are first time home buyers and worked with Otto [Iglesias]. He was in one word-- phenomenal. We enjoyed the entire process with him. From the beginning, he was very organized and on top of documentation, and, as seems clear from other reviews, but is even more clear in person, he was exceptionally responsive. We made 5 offers throughout the process, but clearly landed on the right home. The only reason we got the home we are currently in is because Otto spent an entire night revising and rerevising (and rerevising...) our offer letter based on seller negotiations. He is amazing. He also has the best resources. He set us up with an amazing inspector, lawyer, and loan officer who helped the process run smoothly and efficiently. They all worked together after hours, etc. to make it happen for us. We are SO happy in our new home-- and SO happy with Otto's service. We would definitely use him again and recommend him to anyone looking." I had a great experience with BBO and with Andrew [McKinney]. I was a first time home buyer in the Boston area and the market was incredibly difficult. Andrew saw me through the whole process with grace and skill. He was always ahead of the game and responded to all my questions in record time. I have no idea how he manages to schedule his time, but he was always available to show me around, take me to open houses, and answer questions. Andrew was also very pleasant to spend time with and told lots of great stories that made me feel like I wasn't the only one trying to navigate a crazy seller's market. After about a month and a half of searching my offer was accepted on an incredible condo which I am very happy with. Andrew was also quick to understand my tastes and find the right places to show me. Finally, BBO's business model is really stellar in my opinion. It feels good to know that the company is working only in your interests as the buyer. I would highly recommend BBO and if you're buying a home in the Boston area definitely ask Andrew for his help! "I found Femion Mezini through Yelp as my boyfriend and I started our condo search. From the very first message I sent, I was treated like we were billion dollar clients. "After hearing of many horror stories from family and friends about their home buying experience, we can say we truly are blessed to have had such a smooth transaction and we know this was primarily due to the services provided by Buyers Brokers Only ... I highly recommend all buyers to contact them! We know we will use them again when the time comes to purchase our next home." "I just purchased my first home. Buyers Brokers Only is the only way to go. [Whether] you're a first time home buyer or not, and potentially making the biggest investment of your life, don't you want someone who has your best interest and only your interest at heart? That's what you get from BBO. 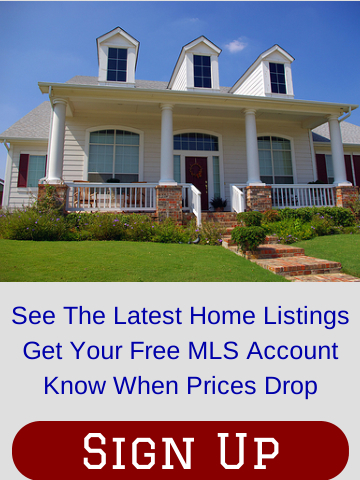 "If you are buying a home. I give Buyers Brokers Only the highest recommendation I can." That's it! No more! This rent is a waste. It's time to buy our own house post haste! I Googled for "best broker in town"
And Femion seemed to be winning hands down. "These reviews can't be real" I said with doubt. "They must be false, but I must find out." Turned out I was wrong, every word was true! He listened to our dreams, what we wanted to do. Rozzy, JP, or Hyde Park--but it wouldn't be free. So we shopped for financing and had some offers. We thought we had more than enough in our coffers. We visited condos, some good and some scary. We considered fixer-uppers but stayed rather wary. That some documentation just wasn't around. And when they fell through, we weren't alone. "There will be others," a refrain often said. Fem's wisdom kept me from going out of my head. A five-bedroom condo--but we had to act fast! Asking price? Check! Cash back at the close? The paperwork and hassle. He knew what to do. We thought we lost our dream home. Femion just shrugged, "No cause for alarm." Buying us time and earning my thanks. He found us a lender who worked 24/7. Now we have our own condo--it's homeowner heaven! If it weren't for Femion, we'd still be renting. If we had another broker, I'd still be venting. And this is the part where I say: HE'S THE BEST! So why are you still reading? You're wasting your time! Call Femion now because I'm all out of rhymes.